Here at Canberra Diamond Blade, we pride ourselves on our wide range of products that offer unbeatable value for money. And our range of brick hammers online is no exception. With many different options available from a number of different brands, it’s easier than ever to find what you need, when you need it. Simply browse our catalogue today to order with just a few clicks and see why so many bricklayers throughout Australia consider us their trusted online tool supplier. Finding the right brick hammer for your needs and budget has never been easier than when you shop from our online store. Choose from a number of top brands, including Estwing and Ox Tools, and buy with confidence knowing you will always receive top quality performance. Chosen for their trusted reputation in the industry, as well as their affordability, all our brick hammers online in our store meet our high standards for quality. And with our 30-day, no-questions-asked money back policy, you can buy a product knowing you can get a full refund if it isn’t suited to your needs. Why shop our online store? There’s a reason why so many trades professionals throughout Australia turn to us for their tools and equipment – and it’s because we are experienced tradies ourselves. After years in the industry, we know that every bricklayer, stonemason or concreter wants high-quality, affordable tools that will last them the long-haul. Unfortunately, it’s all too easy to pay too much for products that give you too little. In the end, they can cost you both time and money by letting you down on the job. 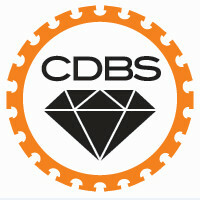 Here at CDBS, however, we source all our items to ensure maximum quality and affordability for our customers. This means you can invest in tools from a number of brands with confidence knowing you will get quality tools designed for professionals. And if you’re not sure what you need? Simply give our friendly team a call on 02 6242 8996 and we’ll help you find exactly what you need. Enjoy free delivery when you spend over a certain amount! Not only is our delivery service fast – meaning it will arrive at your door in no time at all – but we offer free delivery on all orders over $200, or $100 for customers in the ACT. So, what are you waiting for? Start shopping today to find all the best products for your project in our online store!